James Fellenbaum enjoys an extraordinarily diverse career as a conductor, having just completed his 10th year as Resident Conductor of the Knoxville Symphony Orchestra. He began as a Guest Conductor in 2006, and then became Resident Conductor in January of 2008. He conducts a variety of concerts for the KSO, and has lead the orchestra in a wide array of repertoire, ranging from the complete Brandenburg Concerti to orchestral music from Wagner’s The Ring Cycle. His performances on the Masterworks and Chamber Classics series have garnered such praise as “…a remarkable performance, one that was clean, focused, and razor-sharp in its control, yet passionate and warm in its display.” and “one of the most compelling performances of a Beethoven symphony I have yet heard in Knoxville.” As a frequent conductor on the Knoxville News-Sentinel Pops series, he has collaborated with such renown artists as Kenny G, Chris Botti, Jim Witter, Ann Hampton Calloway, Steve Lippia, The Indigo Girls, and The Midtown Men, along with tributes to Bob Denver, The Beatles, Elvis, as well as the popular Cirque de la Symphonie, and Oz with Orchestra. As part of the KSO’s Education and Community Partnership Program, Maestro Fellenbaum has conducted many performances in the Knoxville region, as well as in communities such as Richlands, VA, Athens, TN, Harrogate, TN, and other locations. He has also conducted several educational concerts, including Side-by-Side concerts with local high school orchestra programs, as well the KSO’s annual Young People’s Concerts, which are seen by 10,000 elementary students each year. 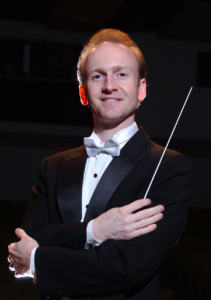 Since 2010, Maestro Fellenbaum is also the Music Director of the Knoxville Symphony Youth Orchestra Association. He has been a guest Music Director of the Symphony of the Mountains Youth Orchestra, and was previously the Music Director of the Suburban Youth Symphony in Illinois. He has conducted the American Youth Philharmonic, Texas Honors Orchestra, and has led many regional and all-state orchestras, as well as hundreds of workshops and clinics. Maestro Fellenbaum is the Director of Orchestras at the University of Tennessee, a position he has held since 2003. He oversees and conducts the Orchestra Program, which includes the Symphony Orchestra – the most prominent collegiate ensemble in the state – the Chamber Orchestra, founded in 2004, the Contemporary Music Ensemble, founded in 2006 and dedicated to music written since 1950, and UT Opera Theater, where he oversees orchestral administration, and has conducted past productions such as Don Giovanni, La Traviata, Il Barbiere di Siviglia, The Turn of the Screw, Sweeney Todd, Susannah, Cosi fan tutte, Little Women, and more. Orchestral performances at UT have grown in both size and quality of performances, resulting in invitations to perform in state-wide and regional concerts, and receiving critical acclaim such as “With the arrival of James Fellenbaum…the UT Symphony has developed, at an amazing pace, into an ensemble that rivals the professional orchestras in many communities.” Additionally, the Orchestra Program been chosen for two different PBS recording projects, performing as the classical soundtrack for Appalachia: A History of Mountains and People, narrated by Sissy Spacek, and the upcoming The Truth about Trees. Maestro Fellenbaum has conducted orchestras nationally and internationally, including recent guest conducting engagements with the Springfield Symphony Orchestra (MA), Asheville Symphony Orchestra (NC), the Portland Columbia Symphony Orchestra (OR), Indianapolis Chamber Orchestra, Orange County Symphony (CA), American Youth Philharmonic, the Symphony of the Mountains (TN), the Satu-Mare State Philharmonic and Sinfonia Bucharest Orchestra of Romania, and the Russe Philharmonic and Vidin Philharmonic of Bulgaria. He was invited to the 2006 First International Gennady Rozhdestvensky Conductors Competition, where he was one of 20 conductors chosen to compete out of 112 applicants from 26 countries around the world, and finished as a Finalist – the only American to reach that round. Maestro Fellenbaum holds a Bachelor of Music degree in violoncello performance from James Madison University in Virginia, and holds a double Masters degree in violoncello performance and orchestral conducting from Northwestern University. His primary conducting teachers were Victor Yampolsky and Cliff Colnot in Chicago, David Zinman and Murry Sidlin at the Aspen Summer Music Festival, and Pinchas Zukerman and Jorma Panula as part of the Conductors Programme with the National Arts Centre Orchestra in Ottawa, Canada. Two-time GRAMMY nominee and Avery Fisher career grant recipient Jennifer Frautschi has garnered worldwide acclaim as an adventurous musician with a remarkably wide-ranging repertoire. This season she appears as soloist with multiple orchestras across the United States and as chamber musician at Boston Chamber Music Society, Caramoor, Chamber Music Charleston, Middlebury Performing Arts Series, and Seattle Chamber Music Festival. 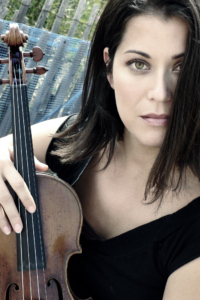 Her 2015-16 season featured performances with the Boston Philharmonic, New Jersey Symphony, Norwalk and Valdosta Symphonies; re-engagements with the Austin, Boise, Pasadena, Pensacola, and Toledo Symphonies; and chamber music appearances at the Library of Congress, Duke University, Chamber Music Northwest (Portland, OR), Santa Fe Chamber Music Festival, and Lake Champlain Chamber Music Festival (Burlington, VT). Other highlights of recent seasons include the world premiere of James Stephenson’s Violin Concerto, a piece written for her, with the Minnesota Orchestra and Osmo Vänskä; Barber Concerto with the orchestra of the Teatro di San Carlo Opera House in Naples, James Conlon conducting; and performances with the St. Paul Chamber Orchestra, Buffalo Philharmonic, the Eugene, Jacksonville, Milwaukee, Tucson, and Utah Symphonies, as well as return engagements with the Rhode Island Philharmonic and the Alabama, Arkansas, Belo Horizonte (Brazil), Chattanooga, Portland, and Phoenix Symphonies. She has also appeared recently at the Ojai, La Jolla, Moab, Bridgehampton, and SaltBay Music Festivals. Her extensive discography includes several discs for Naxos: the Stravinsky Violin Concerto with the Philharmonia Orchestra of London, conducted by the legendary Robert Craft, and two GRAMMY-nominated recordings with the Fred Sherry Quartet, of Schoenberg’s Concerto for String Quartet and Orchestra [nominated for ‘Best Instrumental Soloist Performance (with Orchestra)’ in 2006] and the Schoenberg Third String Quartet [nominated for ‘Best Chamber Music Performance’ in 2011]. Her most recent releases are with pianist John Blacklow on Albany Records: the first devoted to the three sonatas of Robert Schumann, including the rarely performed posthumous sonata (released in 2014); the second, American Duos, an exploration of recent additions to the violin and piano repertoire by contemporary American composers Barbara White, Steven Mackey, Elena Ruehr, Dan Coleman, and Stephen Hartke (released in 2015). She also recorded three widely-praised CDs for Artek: an orchestral recording of the Prokofiev concerti with Gerard Schwarz and the Seattle Symphony; the violin music of Ravel and Stravinsky; and 20th century works for solo violin. Other recent recordings include a disc of Romantic Horn Trios, with hornist Eric Ruske and pianist Stephen Prutsman, and the Stravinsky Duo Concertant with pianist Jeremy Denk. Born in Pasadena, California, Ms. Frautschi was a student of Robert Lipsett at the Colburn School. She also attended Harvard, NEC, and Juilliard, where she studied with Robert Mann. She currently teaches in the graduate program at Stony Brook University in New York. She performs on a 1722 Antonio Stradivarius violin known as the “ex-Cadiz,” on generous loan from a private American foundation.